Many travelers may wonder why it is so difficult to find antimalarial tablet in Thailand. Some may visit many pharmacists, many hospitals but without success. Until finally they could find us after someone tell them to visit Hospital for Tropical Diseases to buy antimalarial tablets. 1. First of all; our government and our FDA have strict rules and regulations to control the use and distribution of antimalarial in Thailand. Since we face with multi-drugs (chloroquine, mefloquine) resistant malaria and this problem will be much worse if we could not control the use of antimalarial tablets. So antimalarial medication will be available in some university/public hospitals only. 3. Please do not buy antimalarial tablets especially mefloquine, artesunate or malarone in pharmacists or in small clinic especially in the rural area or in border area or in Myanmar, Lao, Cambodia. Since counterfeit malaria pills are very common there. They are illegal and also very dangerous for travelers and public. Antimalarial, like many medications, are very useful if we know how and when to use it. 3 comments to Where can I buy antimalarial tablet in Thailand? Please contact us by writing to this email “contact@thaitravelclinic.com”. We will forward your inquiry/question to our doctor. Yup dont buy nothing from a small place. 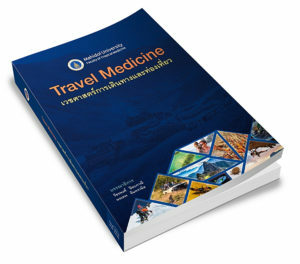 I would suggest buying from a authorise travel clinic as anothe reliable source. I used the link previous to help find suitable place to buy some Malarone when I was running low in Bangkok.